Emerging reports suggests that the Central Bank of Nigeria (CBN) facility in Calabar, Cross River state is on fire. Many people are feared dead, with several others injured. Sources say the explosion is said to be from one of the gas cylinders in the building. Share on Facebook Share on Twitter CBN 1 CBN office in Calabar on fire According to a source who spoke with The Trent, the explosion occurred at about 12:50 pm on Friday, March 11, 2016. A resident named Gift Effiong said: “I heard a loud explosion coming from CBN axis, the road is now blocked and motorists have been diverted to another route.” Another source told newsmen that the explosion was heard from within CBN and a fire started afterwards. It remains uncertain how many people have died from the fire incident, however, there are speculation that about 10 people were killed and over 30 injured in the incident. Officials are yet give full details of the inferno, as rescue operations are still ongoing. Share on Facebook Share on Twitter CBN 3 An ambulance at the Central Bank office in Calabar where an explosion has reportedly killed many There were fire trucks in the premises of the bank and ambulances were coming in and out, conveying casualties. Shattered glasses filled the CBN premises, as parts of the main bank building were damaged. The Nation reports that men of the police, army, navy, civil defence and other paramilitary organizations were drafted to scene. Relatives of staff could be seen crying at the gate of the bank. They demanded to see their relatives working in the bank. Officials of the bank refused to comment, stating that they are too traumatized to speak. Share on Facebook Share on Twitter CBN 5 Sources disclose that the fire has been put out and the injured are being treated. Many are feared dead. The Commissioner of police, Henry Faidairo was on ground to inspect the scene. Also available was the Acting Inspector General of police, Zone 6, Calabar, Baba-Adisa Bolanta. Bolanta who also inspected the scene, said the explosion was suspected to be from gas within the central air-conditioning unit. “This is just an initial assessment, and it is not confirmed yet. It is when a final result has been given that we will confirm what really happened,” he said. Ali Danmaraya, vice-chairman of the All Progressives Congress (APC) in Kano state, is dead, The Cable reports. Danmaraya died at his residence on Thursday morning, March 10, after a brief illness. READ ALSO: Late James Ocholi to be buried next week According to the report, the 73 year old has been buried according to Islamic rites at the Farm Centre Cemetery in Tarauni local government area of the state. A twitter user with the name (@danzainabsports) also confirmed the report. In English, it means: “God is great. God has done this. Alhaji Ali Isa Danmaraya, Vice Chairman of Kano state APC is dead. His funeral/funeral prayer will hold now.” Ganduje of Kano state and Hafizu Abubakar, his deputy. Addressing newsmen at the ceremony, Governor Ganduje described the late Danmaraya as a hard working and dedicated member of the APC. Ganduje said the party would miss him greatly because of his exemplary leadership qualities and kindness to the people. Danmaraya death comes just 48 hours after Senator Abdulmimun Zareko, who represented Jigawa state in the 7th National Assembly passed on. His death also comes four days after Nigeria’s minister of state for Labour and Productivity, James Ocholi, his wife and son lost their lives on the Kaduna-Abuja expressway after a fatal car crash. The Ebute-Meta Magistrate Court has remanded the Managing Director of Lekki Gardens, Mr. Nyong Richard, and a contractor, Odofin Taiwo, in police custody for their role in the collapse of a five-storey building in Lekki, Lagos. The building, which was under construction had collapsed on Tuesday, killing 35 people and injuring several others. Magistrate, Mrs. Afolashade Bokotu, ordered that Richard and Taiwo, who were brought to the court in handcuffs earlier today should be kept in police custody at the State Department of Criminal Investigation, Yaba for the next 30 days, pending the conclusion of police investigation. According to a Dubem Naija Blog reader Ngone Ndiaye who sent in the story and pictures from Dakar senegal, The Nigerian man Davide Ndube, 29years old, married an American pharmacist, aged 69. The wedding event took place in Dakar Senegel, last month February 17th. Senate President, Bukola Saraki on Friday appeared at the Code of Conduct Tribunal (CCT) for his ongoing trial over alleged false declaration of assets. Saraki arrived CCT at about 9:56am in company of about 30 senators. Prominent among the 84 senators who stormed the CCT in solidarity with the senate president are , Sen. Ike Ekweremadu, Ben Murray-Bruce, Dino Melaye, Stella Oduah, Samuel Anyanwu. Recall that the Senate President is expected to be confronted by witnesses who will testify that he lied in the assets declaration forms he submitted to the Code of Conduct Bureau, CCB during his eight years tenure as governor of Kwara State. In the 13-count charge of false assets declaration filed against the Senate President at Tribunal on September, 2015, CCB had alleged that he made false claims in the four assets declarations forms he submitted on his assumption and exit from office at different times between 2003 and 2011. Specifically, the Senate President was in the 13 counts charge alleged to have corruptly acquired many properties while in office as Governor of Kwara State. According to CCB some of the assets traced to him at the end of his tenure as governor were not declared in the assets declaration forms he filled and submitted on assumption of office. Similarly, Saraki was accused of making anticipatory declaration of assets as some of the assets he listed as belonging to him upon his assumption of office as governor was discovered to have been acquired later. The Federal Government has revealed the cause of epileptic power supply in the country. The Minister of Information and Culture, Alhaji Lai Mohammed, in a statement issued on March 11, in Abuja, published on the Facebook page of APC London, attributed the poor power supply to gas failure as well as sabotage and vandalization of power infrastructure. Minister of Information Alhaji Lai Mohammed apologised for the hardship poor power caused Nigerians. The minister, who tendered unreserved apology to Nigerians for the hardship caused bt the development, said efforts are being made to resolve the situation and ensure a gradual improvement in the power situation. “There will be a decent improvement in the power situation from this weekend, thanks to ongoing remedial efforts that will double the current power supply to 4,000WM. Getting back to the 5,074MW all-time high that was reached earlier will take a few more weeks,” he said. Mohammed explained that the routine maintenance embarked upon by the Nigeria gas company affected the supply of gas to power stations, reducing power supply from an all-time high of 5,074 MW to about 4,000MW, adding that a combination of unpleasant incidents further crashed the power supply to about half that figure. “The vandalization of the Forcados export pipelines forced oil companies to shut down, making it impossible for them to produce gas. Then, workers at the Ikeja Discos, who were protesting the disengagement of some of their colleagues after they failed the company’s competency test, apparently colluded with the National Transmission Station in Osogbo to shut down transmission. “Finally, the unfortunate strike by the unions at the NNPC, over the restructuring of the Corporation, shut down the Itarogun Power Station, the biggest in the country. Due to these factors, only 13 out of the 24 power stations in the country are currently functioning. It is this same kind of unsavoury situation that has affected fuel supply and subjected Nigerians to untold hardship,” Mohammed said. He lamented a situation whereby some Nigerians, under the umbrella of different oil and gas unions or absolute vandalization, will always be sabotaging the nation’s power infrastructure. “The bitter truth is that for as along as these groups of Nigerians continue to sabotage the power infrastructure, Nigerians cannot enjoy a decent level of power supply. We therefore admonish all Nigerians who may be agitating for their rights in whatever form to refrain from any action that will further hurt the same people they claim to be protecting,” Mohammed said. 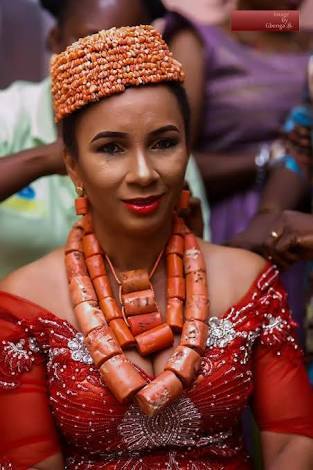 The Court of Appeal, Lagos Division, has upheld the judgement of a Lagos High Court which sentenced star actress and former beauty Queen, Ibinabo Fiberesima to five years’ imprisonment for the death of one Dr Giwa Suraj. The court dismissed the appeal filed by the star actress challenging the sentence which was handed down by Justice Deborah Oluwayemi for reckless driving which caused the death of one Dr. Giwa Suraj in an auto accident along the Lekki-Epe expressway, Lagos. The deceased was a staff in one of the Lagos state’s hospitals. In a unanimous decision delivered by Justice Jamilu Yammama Tukur, the court also dismissed the sentence of a Magistrate Court which had earlier awarded a N100, 000 fine on the actress. The Appeal Court held that the Magistrate lacked the discretion to grant Ibinabo the option of a fine upon conviction. Immediately, the judgment was delivered, Ibinabo who was visibly apprehensive throughout the proceeding burst into tears and wept furiously. The court had earlier ordered that she must appear before it when judgement is to be delivered. Speaking on the judgement, her lawyer, Nnaemeka Amaechina, said that the judgment would be challenged at the Supreme Court adding that a Notice of Appeal had already been filed. Fiberesima had earlier been awarded a N100, 000 fine by an Igbosere Magistrate’s Court, but the then Lagos State Attorney-General and Commissioner of justice, Supo Sasore (SAN), felt unsatisfied with the judgement. This prompted the state government to take its case to the Lagos High Court. At the Lagos High Court, Justice Oluwayemi set aside the option of fine imposed by the Magistrate’s Court and sentenced Fiberesima to five years’ imprisonment for dangerous and reckless driving. =>Wizkid’s 2nd babymama suggests she’s moving on from him in new IG post Wizkid’s second babymama Binta Diallo posted this on her IG late last night. Rapper and actor Folarin ‘Falz The Bahd Guy’ Falana has put out the trailer for his smash song Soldier off the Stories That Touch album which features X3M singer Simi. The short musical film also features rapper Efa and actor Adeyemi Okanlawon as well as music producer SessBeats, among others. Singer Simi n the trailer of Soldier Singer Simi in the trailer of Soldier It was shot by foremost video director Clarence Peters at a rural location with a lot of greenery in the background as well as a balanced countryside appeal. The trailer sees singer Simi being held captive and Falz playing the role of a sergeant out to get her free from her abductors. The full video drops on Sunday, March 13 2016. This comes a week after Falz’s big win at the 2016 Africa Magic Viewer’s Choice Awards which held on Saturday, March 5 in Lagos. He won for Best Actor In A Comedy for his appearance in Jenifa’s Diary. Share on Facebook Share on Twitter A scene from the Soldier video by Falz A scene from the Soldier video by Falz Folarin ‘Falz’ Falana was born in Lagos and is a graduate of the University of Reading, England. He was called to the bar in 2012 but left the legal profession shortly after practicing in his father’s chamber in pursuit of greatness in the Nigerian entertainment industry. Wizkid’s second babymama Binta Diallo posted this on her IG late last night. According to her in a previous interview, Wizkid has been a deadbeat dad, he has refused to take responsibility of their new baby together, Ayodeji Ibrahim Balogun Junior. Seems she’s finally made up her mind to move on without Wiz.